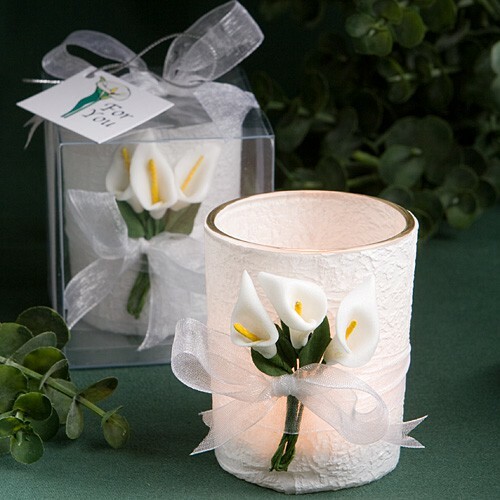 Elegant for any occasion, these calla lily candle favors are absolutely stunning. Treasured for its beauty and majestic simplicity, the calla lily is a popular choice for weddings and bridal showers. This candle favor really shines a light on the calla lily’s charm. Measuring 2.5" x 2.5", each candle favor has a clear glass holder delicately wrapped with white textured paper and three long stemmed calla lilies gathered in a mini bouquet.